Wine Profile: Deep violet color. Notes of black currant and raspberry fruit with a black pepper savory edge. 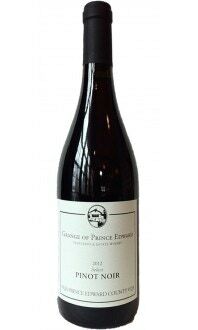 Dark fruit is balanced on the palate by cigar box complexity, spice and firm tannins. Winemaking: Harvested October 19th at an average of 23° brix. 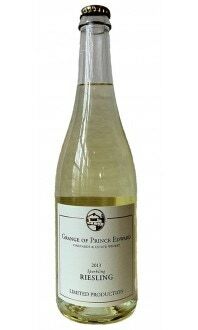 Fermented in stainless steel, 28-day primary fermentation for extended maceration. Aged 24 months in neutral French oak barriques prior to bottling. Vineyard: A temperate microclimate covers the region of Prince Edward County. It is also geographically distinct; the island lies on a bed of limestone gravel with fractured bedrock that was deposited on the edge of the Canadian Shield. The result is the perfect combination of climate and geography for growing vinifera grapes. Our 600-acre farm (60 acres under vine) is 5 km inland in the Hillier region making us a hotbed in Prince Edward County standards. The block containing our Cabernet Franc was planted in 2003 and 2004. Clone 327 is grafted on 3309 to give some reduced vigor to the vine’s growth. Located on the most elevated plateau on our site, with soils averaging a depth of 36”. Caroline Granger's approach to Cabernet Franc is a natural ferment, earthy cure, holistically organic and eco-rich consanguinity. No other varietal hook-up happens like it does with the expatriate Loire currant clipper. Granger's affinity with the grape is on intensate display with Northfield, especially in the cured, soil funky heat of 2010. 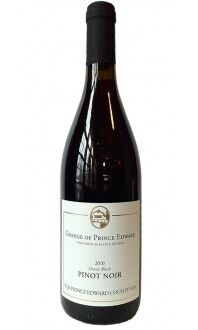 Like the Diana Pinot Noir, primary fermentation occurred in stainless steel for 28-days and it was then aged 24 (as opposed to 30) months in neutral French barriques. The extreme unction, steroidal liquorice and streaky garrigue talk about the past and open up windows to the future of this wine. They are one in the same, spoken on behalf of longevity. This is essential for great Cabernet Franc, even in the midst of hyper tones and acquired tastes. Well done. Drink 2015-2018. Tasted October 2015.